George B. Thomas of Impulse Creative provides a detailed walk-through of the key metrics around watch time as well as strategies for improving them. You may have heard the buzz about the YouTube 4,000 hour debacle. Earlier this year, YouTube tightened its rules around the criteria needed to apply for channel monetization. Now, creators must have amassed 4,000 hours of overall watch time on their channel within the past 12 months and have at least 1,000 subscribers. This obviously sent many creators into a frenzy, but it also drew a lot of attention to watch time and other associated metrics. How is watch time calculated? How do I know how many hours of video viewers have watched so far? How many people need to watch my videos in order to hit 4,000 hours? How can I improve overall watch time? For creators and businesses alike, watch time became a proxy for success. But, should businesses really care? If so, how can they track their success or failure? Understand key YouTube metrics, including overall watch time, average view duration, watch time trend, top videos by watch time, watch time by location, watch time by device, and more. Set goals in order to track and exceed YouTube’s 4,000-hour threshold. *Editor’s Note: Along with Thomas, the team at Impulse Creative puts out some of the best marketing videos in the space. If you’re looking to up your video game, I’d recommend checking out their video marketing resources and workshops. 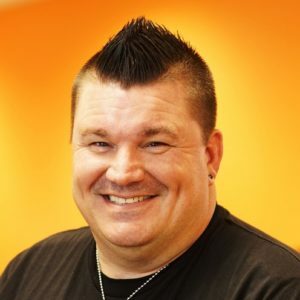 George B. Thomas George B. Thomas is an Inbound Marketing Marketer, Video Jedi and HubSpot Certified Trainer with more than 25 years of sales and marketing experience. He leads the Impulse Creative crew in HubSpot certifications with 19 including Inbound, Email, Contextual and Content Marketing.